All Switch developers can now license the voice-chat software that powers the Switch version of Fortnite, the company behind the tech said today. That means an easy solution for developers who want to let you chat in Switch games using a headset plugged into the console, and not Nintendo’s bizarro-world phone app. Vivox, a tech company that focuses on voice and text chat in online games, said today that any authorised Switch developers can now integrate its Vivox SDK software kit into their game, helping pave the way for Switch owners to play video games more like everyone on literally every other major gaming platform. In games that use Vivox SDK, players will be able to communicate out loud with one another simply by plugging in a headset with a mic into the Switch’s existing audio jack. Epic Games’ Fortnite already does this, and Vivox said today that Hi-Rez Studio will be bringing the same feature to Smite and Paladins in future updates. The chat tools will also extend to Switch games that incorporate cross-play with PC, Xbox One, or PlayStation 4. Gone will be the days of trying to coordinate high-level strategies in team-based competitive games through in-game gestures and pings alone. When Splatoon 2 launched on the Switch in July 2017, Nintendo debuted the Nintendo Switch online app for smartphones as its official solution for players that wished to communicate with one another during online play. 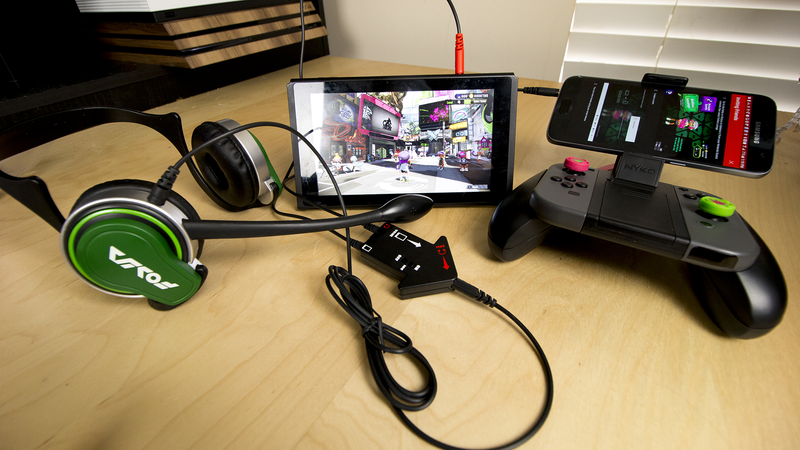 Instead of having in-game voice chat, like in every other online shooter, Splatoon 2 required players to link up through the app and communicate using the mics on their smartphones. It was not good. Fortunately, it seems like going forward, more games will have better options for letting people talk with each other. Like just plugging a headset into the Switch, for example.